GIS is a rapidly expanding research, problem solving and communication technique for spatial data. Often using GPS collected data or existing data from many online sources, GIS allows the making of maps as well as the application of statistics and other data analysis techniques for research in a wide variety of fields. 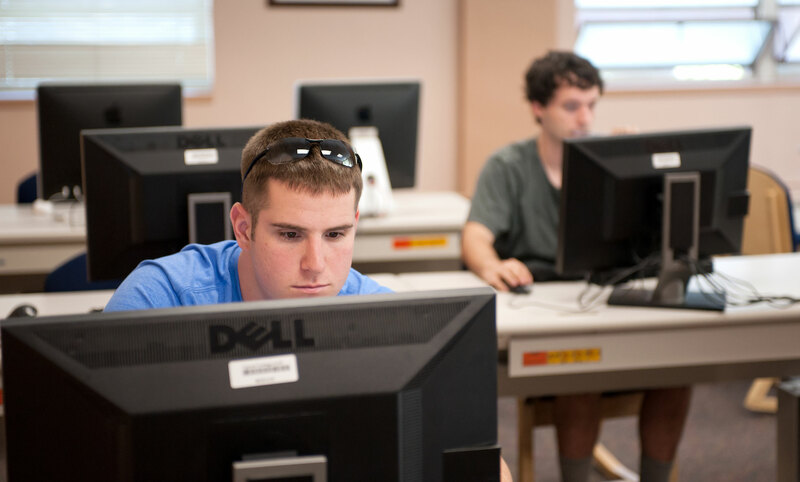 At Carroll, programs using or exploring GIS techniques include Environmental Studies, Math, Engineering and Computer Science, Public Health and Sociology, although the research and analysis skills can be applied to any discipline that has spatial data analysis needs. Spatial data and GIS are becoming fundamental components of computer database management, web sites and computer applications. Environmental Scientists and Engineers need GIS for most research needs. GIS is becoming essential to work and research in many, many fields. Environmental Engineering, Natural Resource Management, Hydrology and Civil Engineering, Math, Computer Science, Sociology, History, Political Science, Public Health and Epidemiology, and Real Estate are common examples at Carroll and in the Helena community.